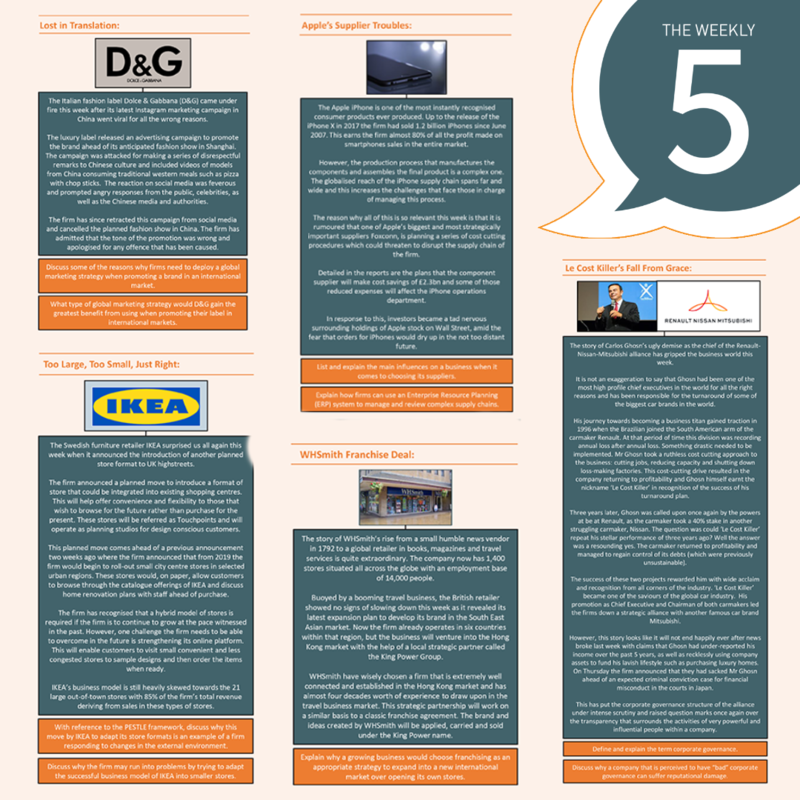 On day 9 of the Year 13 recap we review the different corporate cultures that can emanate within a business and how the culture of a business shapes the strategic direction of the business going forward. The organisational culture of a business shapes the ethos and vision of the company because it reflects not only the organisational hierarchy of the business, but also the behaviours, attitudes and spirit that circulates within the stakeholders of the company. 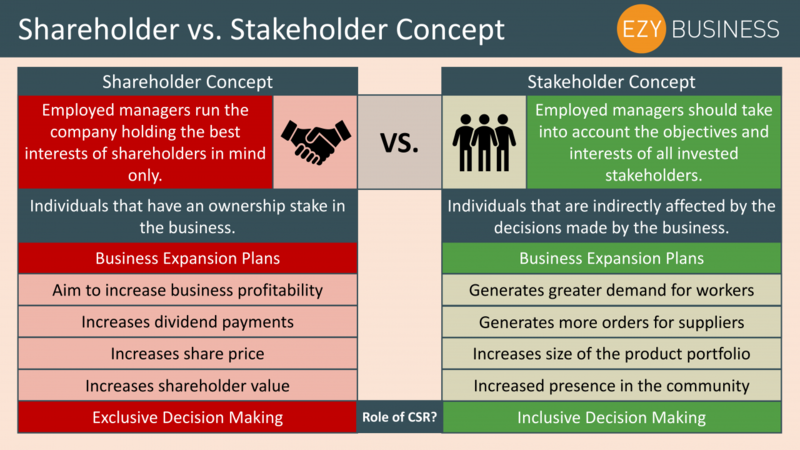 On day 7 of the Year 13 Recap we take a look at the distinction between the shareholder and stakeholder concept for a business. 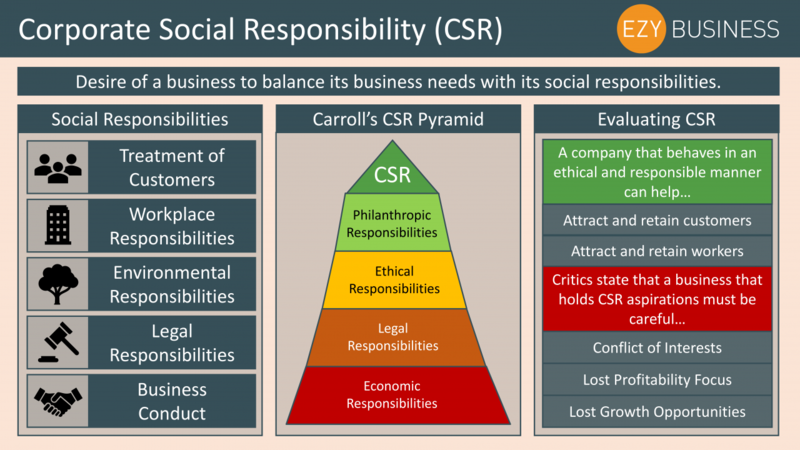 Stakeholders of a business represent the individuals who have a vested interest in the business because they are influenced by the decisions that a business makes. 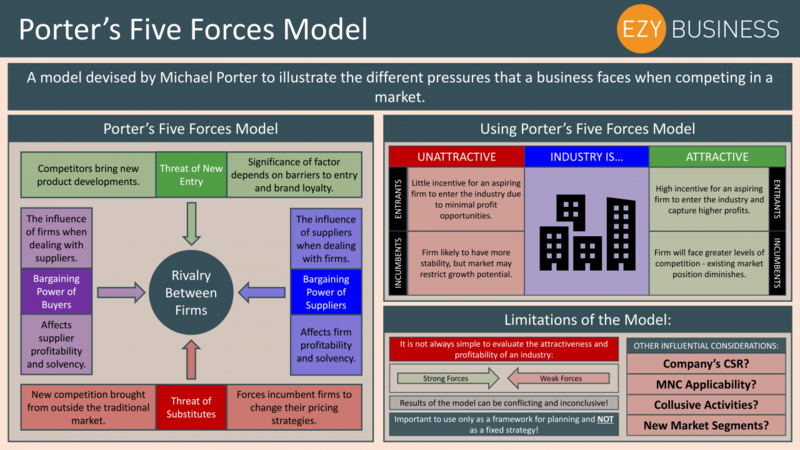 On day 6 of the Year 13 Recap we look at Porter’s Five Forces Model. 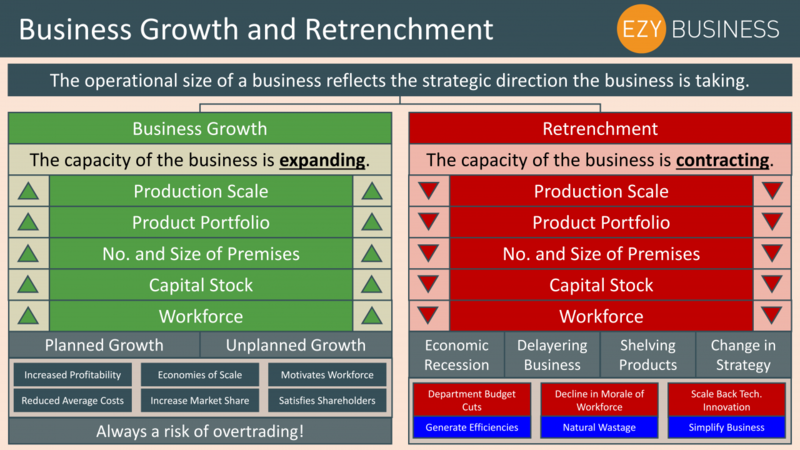 This model was devised to illustrate the range of competitive pressures that a business can expect to face when entering an industry. These competitive pressures are all interrelated and affect the overall rivalry between firms in any given market. 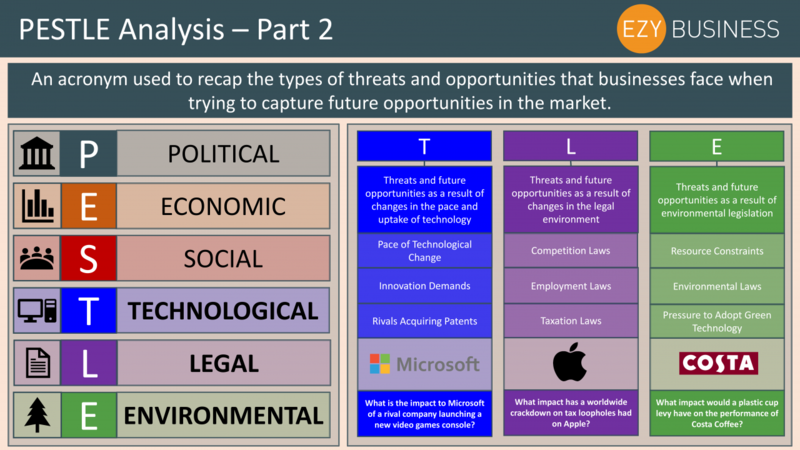 On day 5 of the Year 13 Recap we continue our review of the business acronym PESTLE and focus on the final three components – technological, legal and environmental threats to opportunities. Businesses must cope with quite dramatic and dynamic changes within the market. One area in which change is a prominent factor is the quality and uptake in technology within firms. On day 4 of the Year 13 recap we begin our review of the business acronym PESTLE and discuss the relevance of the first three components. 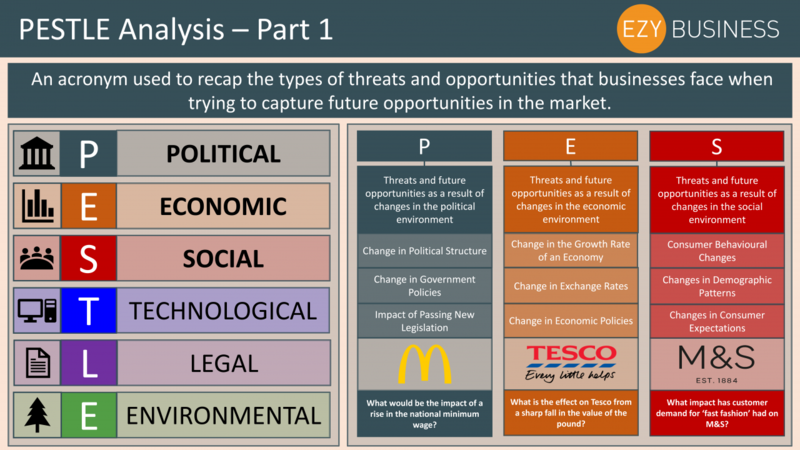 PESTLE is an acronym that businesses use to analyse the possible threats to future opportunities. This means that businesses take a wide and expansive perspective of some of the changes in the external environment which can impact their own performance. 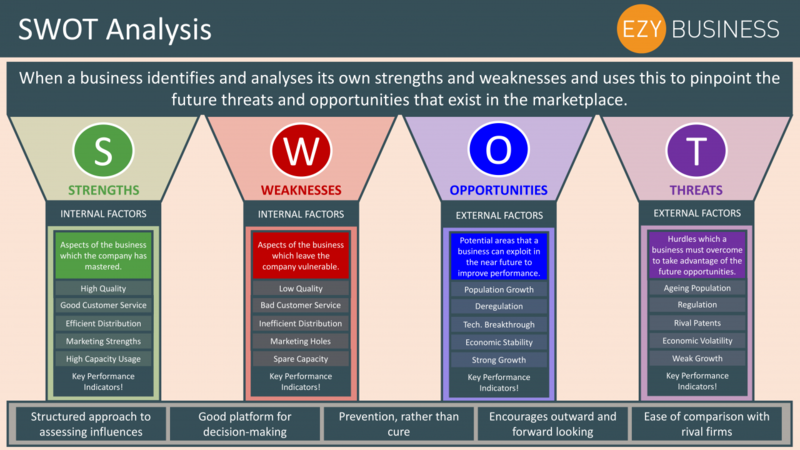 On day 3 of our Year 13 recap we take a look at SWOT analysis and why it matters for a business. If a business is to deliver a balanced performance across different aspects and departments of the company then it needs to identify what the business does well and what the business can improve on. This is crucial because a business is only as productive as its least productive division. 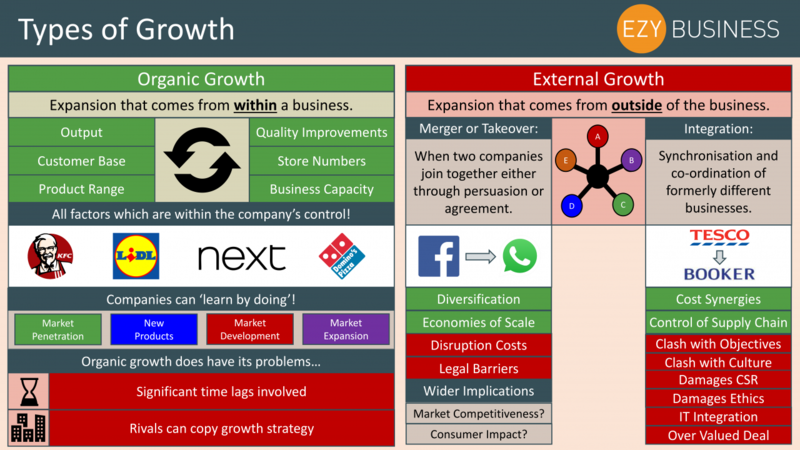 On day 2 of the Year 13 recap we take a look at the different types of growth that a business can generate. Our Year 13 Recap kicks off with a review of the different strategic directions that a business can take. On day 30 of the year 12 recap we look at how a business can improve the management of its stock via an inventory control chart. On day 29 of the year 12 recap we look at quality initiatives that can be undertaken to improve the quality standards within a business. On day 28 of the Year 12 Recap we focus on a specific area of the operations division of a business and look at the operational data a business may collect. 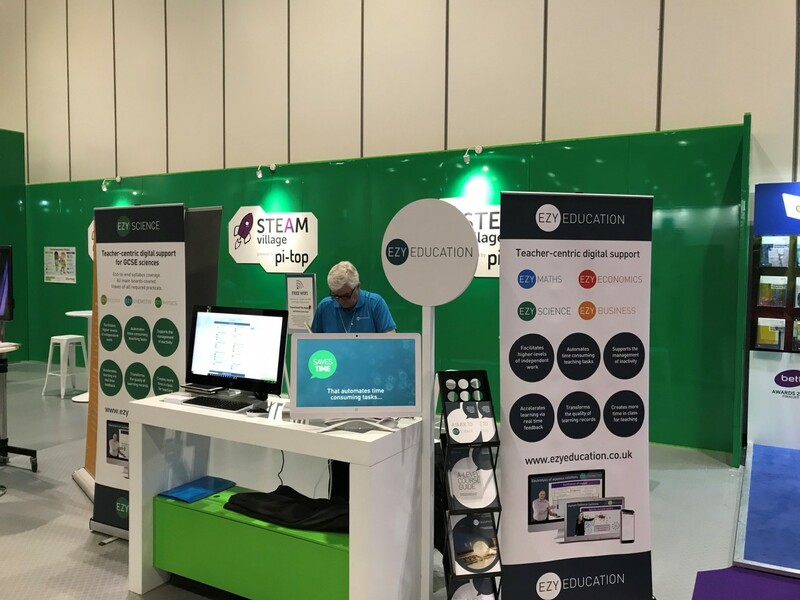 On day 27 of the year 12 recap we look at the main operational objectives which a business may have in mind when delivering a good or service to the market. On day 26 of the year 12 recap we analyse cash flow forecasts and how a business can improve its own cash flow position. On day 25 of the year 12 recap, we turn our attention to cash flow forecasts and the importance of cash flow for a business. On day 24 of the Year 12 recap, our analysis of break-even points continues by looking at break-even charts. On day 23 of the Year 12 Recap we look at break-even points for a business and why it is important for any business to reach this particular point. On day 22 of our Year 12 Recap we are looking at how businesses go about budgeting and planning for the trading year ahead. On day 21 of the Year 12 Recap we turn our attention towards the finances of a business and specifically how a firm acquires the finances it needs to invest and grow. On day 20 of the Year 12 Recap we look at some of the basic cash flow concepts of a business – revenue, costs and profits.